Sweet Desires is a new, up and coming business that is proud to be 100% Australian owned & operated. Situated in O’Connor, We are a wholesale patisserie supplying some of the finest Hotels, Cafes and Restaurants in Perth we aim to satisfy all of your sweetest desires by producing delectable cakes and pastries using only the finest ingredients. All of our products are individually made by our passionate head chef who has over 20 years experience, working not only in Perth but in some of the finest patisseries in London. Our aim at Sweet Desires is to make all your sweetest desires come true. 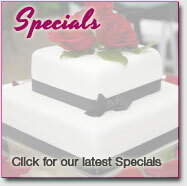 Contact us today to indulge in the sweet desires experience!